Although we are accustomed to always find upgraded and improved versions of the old phones on the new markets, sometimes it’s very useful to launch some phones which have slight downgrades but maybe more practicality and usability for a certain part of the market. The Samsung Note 3 Neo goes down to a 5.5” 720p HD display instead of the initial 5.7” 1080p, it also decreases the size of the processor to 2GB instead of 3 and also shrinks the camera from 13 to 8 megapixels. Will Galaxy Note 3 have Plastic OLED Display? We’ve heard a few Galaxy Note 3 rumors flying about this quarter, but none have been as interesting as SamMobile delve into even more details on the rumored 6” display that may find its way onto the Galaxy Note III. 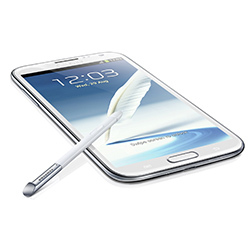 What Features Will Be Included on the Galaxy Note 3? With the great success of the Galaxy Note 2, there’s no doubt that Samsung fans around the world will be patiently waiting for its successor, the Galaxy Note 3. Of course, there’s no evidence that the Note 3 will come to actuality, but rumors have spread, and speculation states that the Samsung Galaxy Note 3 will be shown off at IFA 2013 at Berlin in September. If the Galaxy Note 3 does show its face this year, what can we expect, and what features will make it a valuable purchase to the 2012 handset?